Forever Manchester was recently delighted to be the recipient of an auction to sell off the Manchester Moleskine – a sketchbook documenting Manchester’s affluent creative landscape. For almost two years, Jon Massey and Adam Stanway developed a fantastic collaborative idea by bringing together the great and the good of Manchester’s creative landscape by asking 52 creatives to contribute to the Manchester Moleskine. As Jon and Adam describe it, a Moleskine is not just a leather-bound journal, it is the mainstay of their creative armoury and they thought it would be great to bring to life a Moleskine to reflect the artistic and creative talents of this fantastic city. They approached 52 of the best and asked them to design a double page spread in their unique style. The project was recently completed and the Moleskine was exhibited at the closing event of Design: Manchester at Old Granada Studios. Jon and Adam met with Forever Manchester as they decided a fitting finish to the project was to auction off the Moleksine to a local charity that can ensure the money raised reach local communities reflecting the key aims of the project. 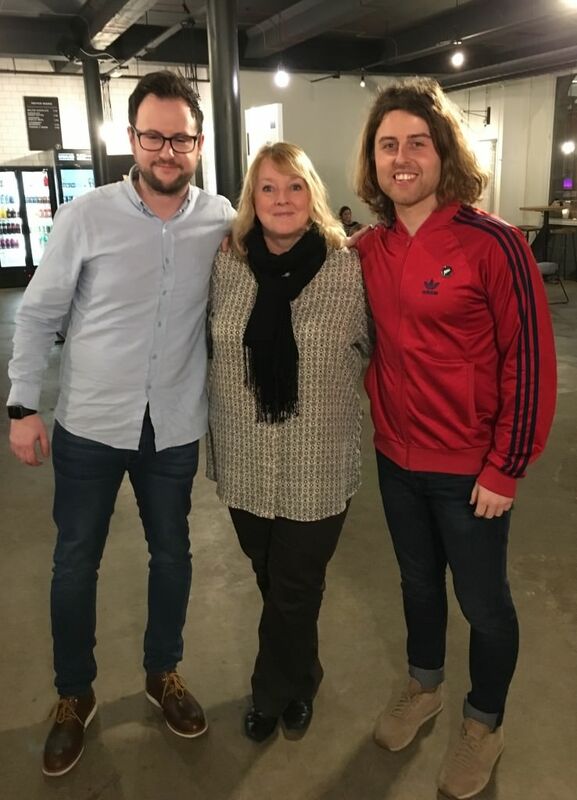 Jean from Forever Manchester met with Jon and Adam recently to receive the money (pictured, right). The buyers of the Moleskine, led by Kyle Soo, are now leading a campaign to get the it exhibited in a Manchester city centre venue as they feel it’s entirely appropriate that this fantastic legacy should be shared with the good people of Manchester. We couldn’t agree more! 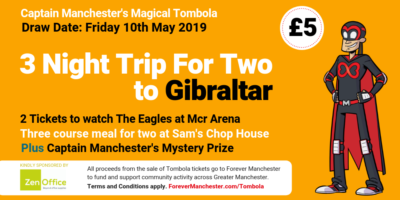 Thank you to Jon and Adam and all the creative contributors for bringing this project to life and ensuring that it supports local people doing extraordinary things together throughout Greater Manchester.